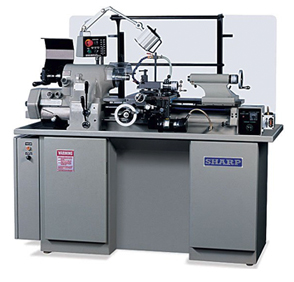 A high precision tool room lathe with spindle accuracy up to 50 millionth of an inch, equipped with Digital Variable Speed Spindle Drive, built on alloy steel bedways, ideal for any high precision, small parts operation. Thanks for visiting the new American Machines website. 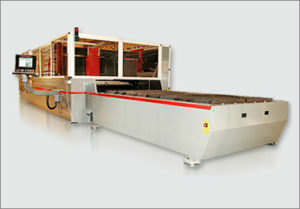 Check out over 1,500 metalworking products, and try our improved and secure quote system. We look forward to working with you. Contact us today with questions at 800-853-9210. The CL-800 controls Human Machine Interface (HMI) is easily understood and intuitive in its use enabling operators to produce good parts independently. 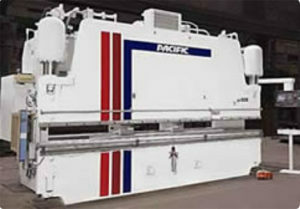 Compact 50T The Compact is our single operator Ironworker. We offer 2 tonnages: 50T and 65T. 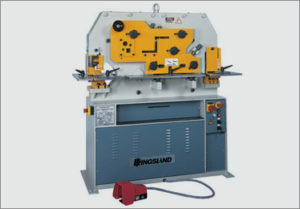 The Compact comes with 5 working stations: punching, shearing, angle cutting, bar cropping and notching stations.